Mark Clements of No More Death Penalty out of Chicago joins us to discuss police brutality and other related issues in the Chicago area. In 1981 Mark Clements was a 16 year old juvenile who was kidnapped by cops and taken to Area Three Violent Crime Unit. Mark's parents where not notified of his detainment and he was subsequently tortured by Chicago police into falsely confessing to an arson fire that killed four people. He served 28 years inside the Illinois Department of Corrections on a natural life sentence before his sentence and conviction were overturned. Chicago Police tortures in the city of Chicago under Jon Burge first occurred in 1972. 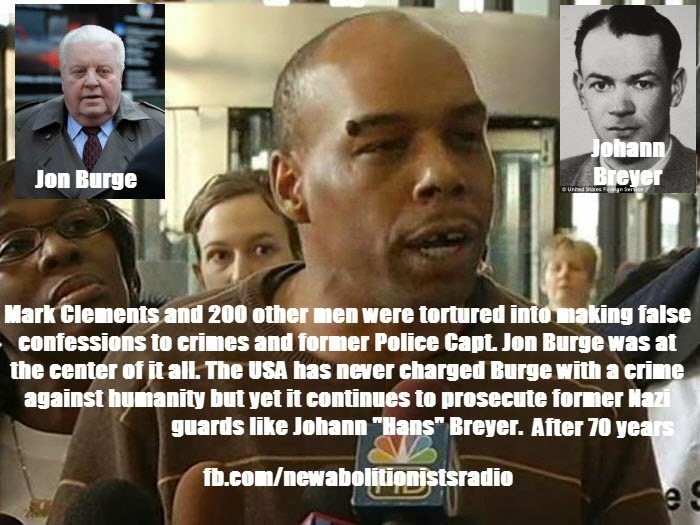 Burge and his subordinates went on to beat and torture as many as 200 African American and Latino men getting them all to confess to crimes they all say they did not commit. Mark played a very key role in Jon Burge being found guilty for perjury and obstruction of Justice in which he was found guilty and sentence to four and a half years. Burge will be released from a North Carolina prison in October, 2014. Burge nor any one of his subordinates have ever been charged with the tortures. Today Mark is a wrongful conviction coordinator with the Chicago Alliance Against Racist and Political Repression and the administrator over the Campaign to End the Death Penalty. Mark can be reached via Facebook at Mark A. Clements and on twitter @Prisonerspeaks or by telephone at 1-847-276-1382. • In Charleston, SC Witnesses Say Cops Made a Teen Kneel Down and then Shot Him in the Back. We discuss the story. • In Philadelphia Cops Vow to Arrest You For Pot, Even If New Bill Tells Them Not To. • Comedian Stephen Colbert discusses modern legalized slavery in excruciating detail during his segment “The Word aka Debt Penalty” It’s all so very funny. At the end of our introduction we’ll let you hear what he says. We’re all in on the joke anyway. • June 17th marks the 40th anniversary of Nixon's commencement declaration of the war on drugs. Success or failure depends on who you ask. Today abolitionists answer that question. • The historic Bradshaw Cemetery (A final resting place for the “bodies of slaves and African Americans who fought in wars and were denied a proper burial) located in Houston, Texas was bulldozed without its owners consent and now the family is searching for answers. Scotty has the story. • The Border Patrol. It even sounds ominous. MSNBC’s Rachel Maddows report “What is the Border Patrol hiding inside its ‘black box’?” shocked me and most of America I’m sure, so I looked deeper. Let me tell you some of the things I found out. • This week we also note The 40 year anniversary of the immigration aspect of the war on drugs. Yohanan tells us about a vote last week to remove the bed quotas. What’s a bed quota? Yes. This is certainly something you want to know. • Speaking of so many anniversaries. Tomorrow is Junteenth. Yea… lets talk about that from an abolitionists perspective. • Prison labor’s new frontier: Artisanal foods” That’s what the FORTUNE online magazine said. We think this might need some propaganda to English translations. Join Max, Yohanan and Scotty as they discussed news related to 21st Century Slavery and human trafficking. 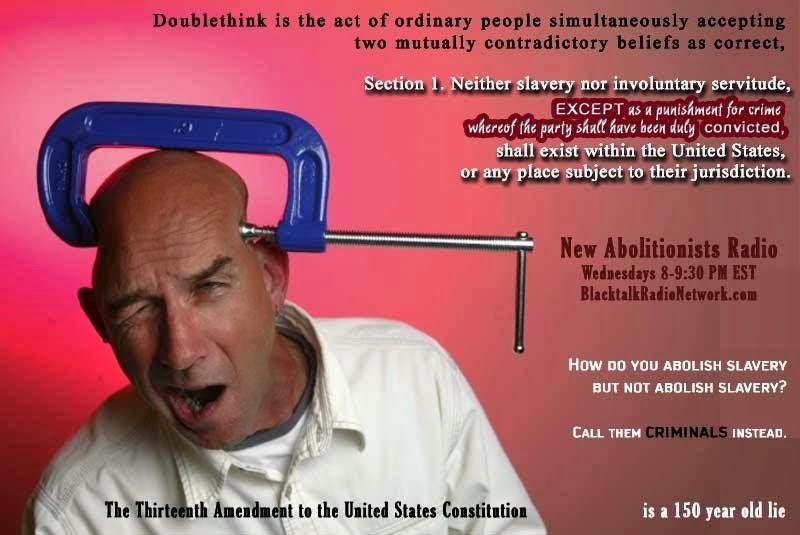 Does the Louisiana State Constitution abolish slavery and involuntary servitude? We've been asking Law enforcement & DOJ employees to come clean and some are doing just that. • In a huffungton post article Judge Jed Rakoff, who sits on the Federal District Court in Manhattan, said tens of thousands of innocent people are pleading guilty because they fear they will serve much longer sentences in prison if they don't cooperate with prosecutors. • And Former Los Angeles County Sheriff's Deputy Gilbert Michel recounts brutalizing inmates with other workers at Men's Central Jail, then falsifying reports. • Thursday, May 29th, Congressman Cohen introduced an amendment to the Fiscal Year 2015 Commerce, Justice, and Science Appropriations bill that would reverse devastating cuts to the Legal Services Corporation (LSC), which helps those who cannot afford high-priced attorneys navigate the justice system. Scotty gives us the details. • Baltimore, Ma enacts a youth curfew with a decision to create “Connection centers” for police to “drop them off”. After the apparent success of the saggin pants are a crime propaganda you know we had to weigh in on this. 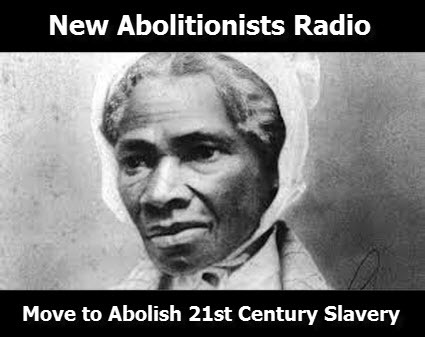 • A special guest joins our conversation on Modern Day Slavery & Human trafficking. Derrick Abyss Graham He is a Peabody Award winning Spoken Word Artist of the Year (2013), the 1st Poet on 106th and Park. (AJ & Free) and The ONLY Poet on a CD with PRINCE. Yes THAT Prince. He is also a Gospel Choice Awards performer who has appeared on HBO Def Poetry, BET Lyric Café and more. Abyss is a word warrior out of Atlanta, GA who uses his art to enact change. It’s Acid Gospel.